Samsung gets sales ban lifted, but for how long? The US sales ban on the Samsung Galaxy Nexus Google-phone has been lifted, albeit temporarily, after the Korean manufacturer appealed the decision. The US Court of Appeals for the Federal Circuit has given Samsung a reprieve for the first Ice Cream Sandwich handset, but it's possible any response from Apple could see restrictions swiftly reinstated. 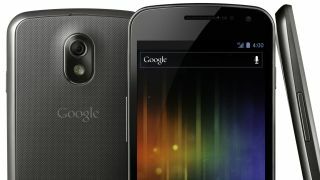 The initial ban relates to the 'quick search' functionality on the Galaxy Nexus device, which will scan all areas of the phone and then the web with one tap. Apple said this infringed on its iOS patents and a California court agreed. Earlier this week, Samsung failed in overturning the decision, while Google has halted sales of the handset through its online portal, pending a software patch. Google has said that it hopes to have the Galaxy Nexus back on sale next week, with Android 4.1 Jelly Bean and a workaround for the software functionality Apple claims infringes on its patent.